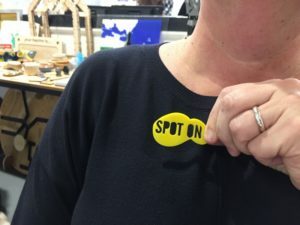 Every Friday and Saturday The Making Rooms’ Fab Lab Blackburn hosts free*, open access days for anyone to come along and design and make their own stuff. 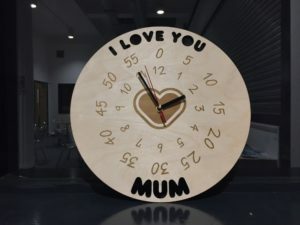 The purpose of our Fab Lab Blackburn Open days is to enable anybody and everybody to come and have a go at designing and making things using some pretty advanced, but easy to use equipment such as 3D printers, laser cutters, electronics and lots more. We have a very friendly and welcoming community that doesn’t have any expectations about prior capability and all of our users and staff are always more than happy to help out and answer any questions you might have (There is no such thing as a daft question!). To come and have a go all you need to do is attend an induction of around 20 minutes (no booking required) and then sign up as a registered user. Then you can use the Fab Lab equipment free of charge* on any Fridays or Saturday (subject to availability). 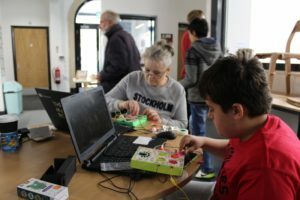 We want everyone to be able to learn from what others are doing so all we ask in return for free use of the facility is that you document your projects for sharing with other Fab Lab users around the world. If you’d prefer to keep your innovations to yourself then please see our Entrepreneurs & Makers pages for details of commercial use of The Making Rooms. 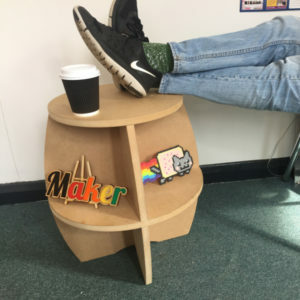 The Making Rooms Fab Lab open access hours are 9am – 5pm Fridays and 09:30 to 16:00 on Saturdays. 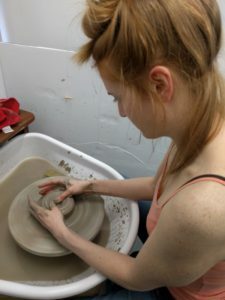 All machines get switched off 15 minutes prior to closing with the exception of the potter’s wheel, which gets switched off at 3pm. Children under 14 must be accompanied by an adult on open access days. 14 & 15 year-olds must provide a parent’s contact telephone number whilst at The Making Rooms. *Free for personal projects; hobbies; etc. There are charges for materials, and we carry a range of standard materials in stock. Used material cut-offs are free. Alternatively you can bring your own, as long as they are compatible with our machines (details can be found on the Equipment pages). Any activities that are externally funded or development of commercial products do not qualify and machine hire charges will apply – click here.